• GREEN LANTERN #173 "Judgement Day"
• PLOT SUMMARY: Green Lantern appeals to the Corps and the Guardians of the Universe to be allowed to return to Earth. Script by Len Wein, art by Dave Gibbons. "Scavenger." A Metalfinder tries to salvage the ring and power battery of a fallen Green Lantern. 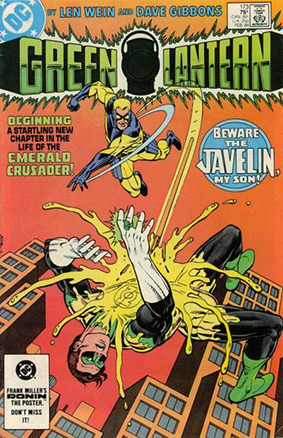 Script by Todd Klein, art by Gibbons.